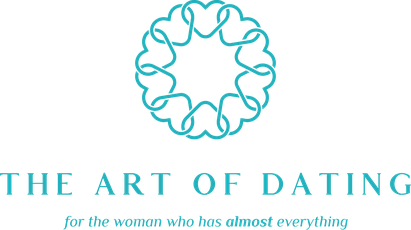 Have you ever wondered why my coaching business is called The Art of Dating? My relationship expertise is a culmination of several factors: personal and global experience, an in-depth view and understanding of psychology and human interactions as well as art and science. The “science” of what I practice and teach is backed by decades of research on marriage and relationship success. The “art,” however, is located at the intersection where two uniquely positioned individuals come together to form an alliance. It is the back and forth, a dance, if you will, in which two people over time trade off leading and giving, toward a shared vision of their lives together. No two individuals will produce the same level of chemistry or relationship nuances and rhyme as you and your partner. What you uniquely share cannot be replicated ever with anyone else. How special is that? What does this all mean? The narrative you bring to the table will impact your relationship outcome greatly. In “Where the good men are” blog, (https://www.artofdatingnyc.com/where-the-good-men-are/) I touched upon what you can do to create an emotionally safe and fun environment on your dates. Dates should not feel like a job interview. Yes, you want to learn more about your date and find out two or three things. However, none of this matters unless you create an emotional connection. “How do I create an emotional connection on dates?” Excellent question. To be interesting, you have to be interested in the other person. That means asking thoughtful questions. When you ask thoughtful questions, typically, the person will reciprocate in kind. If you ask shallow questions about a random topic that you don’t care about, for example, you’ll get back a shallow answer. Keep the conversation relevant and create a connection. The key is to show vulnerability. Share something about yourself, your past experiences, your present-day life and what your hopes and dreams are for your future. But don’t just spell it out. Explain why those things are important to you. If you open up and really talk honestly about what you hope to accomplish in five years, including how you may feel if you don’t realize those goals, then you start to show your authentic self. Let me unpack further. If your heart’s greatest desire is to find the man of your dreams, settle down and have a family, then the flip side may be that you fear not being able to find the man of your dreams, right? That’s how you get to your vulnerable, open self. Don’t hide the parts of yourself that you don’t want to show for fear of being judged or rejected. Your relationship will only go as far as you have gone yourself. Is this resonating? That’s how emotional connections are built. For example, if you answer all of your date’s questions with one-word answers, then, you better brush up on your social conversational skills. I don’t care who you are; “soft” skills will benefit you in your professional and personal life. As a professional dating coach, I work with women who are very successful and smart. However, often, their tough exterior and a transactional, agenda driven mindset will work against them on dates. You have to peel back the layers and let your date see the real you. What’s the point of only putting your best foot forward, only to reveal your real self suddenly, out of the blue, in six months time? That’s like posting beautiful photos of yourself from 10 years ago on a dating app. Yes, you looked that way once but people are interested in evaluating you as a person with real time information, facts and authenticity. Another self-imposed obstacle I often see is not actively listening to the other person. Be so engrossed in what the person has to say that you’re not actually thinking of a response before he finishes his thought. Make sure your mind is not wandering off to your to-do list or which take out food you want to order later. Active listening requires being fully present. I don’t know a single person who wouldn’t benefit from being more fully present. There are multiple benefits to being fully present. You will seem more interesting because you are more engaged. Additionally, you’re not operating with an agenda. Instead, you’re enjoying the moment for exactly what it is or is not. Your mind is not racing to, “could this be the person I marry and have kids with?” That is the wrong thought on date number one, two or three. If you’re always worried about the end game, you’re missing out on this thing called life. Before I close, I want to build upon last week’s blog post about how to create openings so that you’re showing interest and giving the right cues. It’s called flirting. You remember what that is, right? ü Disclose something “real” about yourself and show vulnerability (this does NOT mean talking about your ex or family dysfunction on date one or two). Having a good conversation and an emotional connection will take you far: to your next date. Women often misinterpret what men desire and only focus on the exterior like shoes, makeup and dress. Yes, men are visually driven. But if you’re sitting across from him on a date, he has already decided that you are attractive enough. Now, focus on making a connection. Be interesting. Be engaging. Your exterior self may get you to date number one, but the connection is what will take you the distance. The more you practice the “art” of dating, the more comfortable you’ll become. When you’re comfortable, you’ll have more fun on dates because you’ll be more relaxed. The more fun you have, the deeper the connection you’ll create. It’s a win-win. As I remind my clients weekly, the ROI - return on investment - on the expertise I’m sharing with you comes down to implementation. Don’t just read my blogs. Go put these lessons into practice. Every. Single. Day. P.S. If you enjoyed reading this blog, please share it with your friends! P.P.S. Follow me on Instagram IG: artofdatingnyc for insightful and thought provoking content. I promise, you’ll learn new ways to drive relationship success.